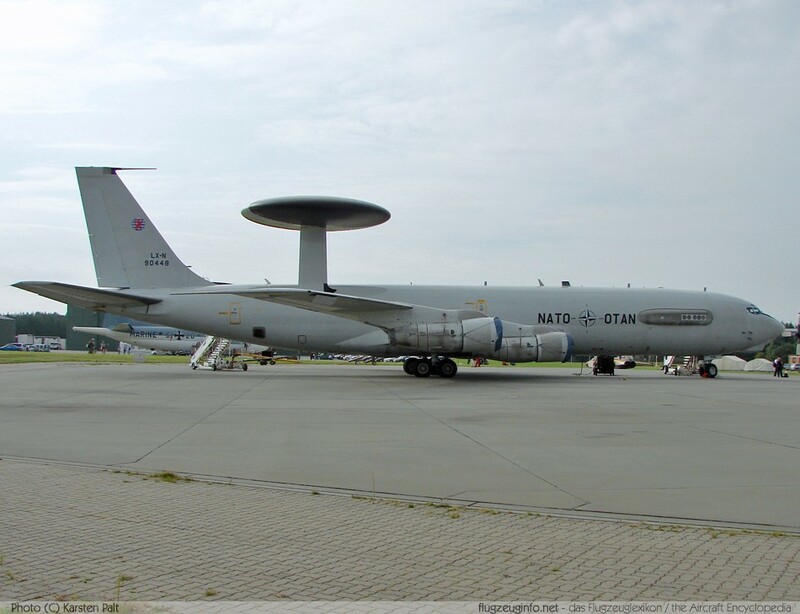 The Boeing E-3 Sentry (Model 707) is a four-engine long-range AWACS aircraft (Airborne Warning And Control System) produced by the US-American manufacturer Boeing. The E-3 Sentry is based on the Boeing 707-320B commercial airliner. Operators are: US Air Force, Royal Air Force, Armée de l'Air, Royal Saudi Air Force and the NATO (based in Geilenkirchen, Germany). British (E-3D/Sentry AEW.1), French (E-3F) and Saudi Arabian (E-3A) aircraft are powered by CFM Intl. CFM56 turbofan engines.